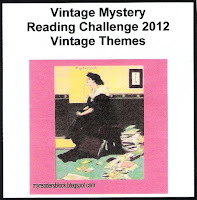 I have completed the Vintage Mystery Challenge. I was supposed to read 8 books all written by male authors and written before 1960. The challenge was a lot of fun and led me to discover some wonderful new authors like Saradindu Bandophadhay and Rex Stout, the challenge also gave me the chance to read books from my favorite author John Dickson Carr, as you can see from the list below the most recurring name below would be John Dickson Carr/Carter Dickson. The challenge was hosted by Bev @ my readers block.